Can ya'll believe it's already November?? Let's enjoy the fall as much as we can before winter hits! We're so excited to share our fall-esque editorial shoot at The Green Building which was featured on Green Wedding Shoes last month! 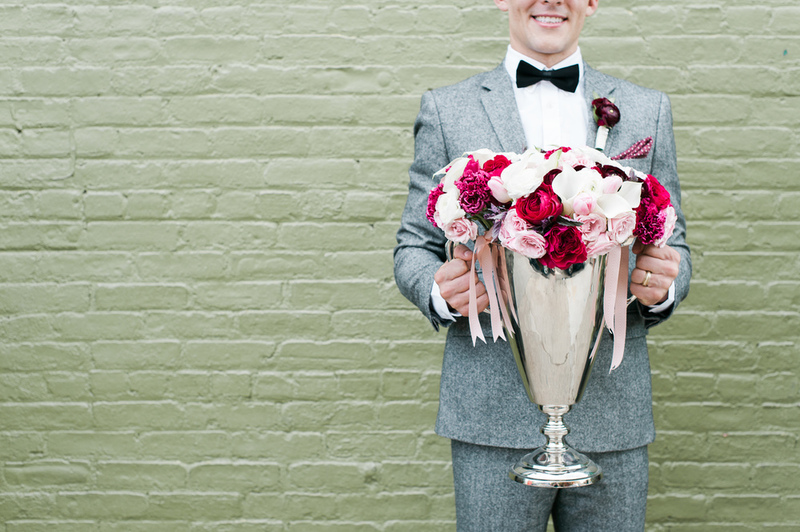 For you brides + grooms who have Fall weddings, this one's for you! 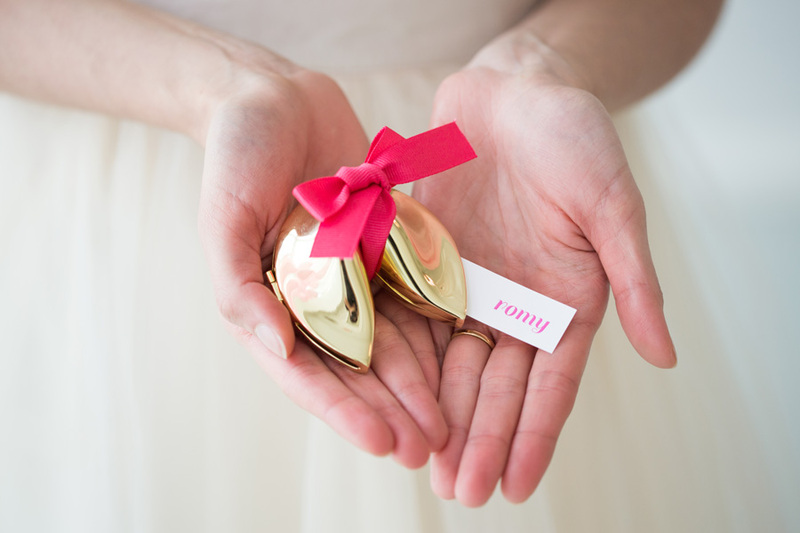 We wanted to show how you can have an autumn wedding that's fun, colorful and chic. Check out the full post here! 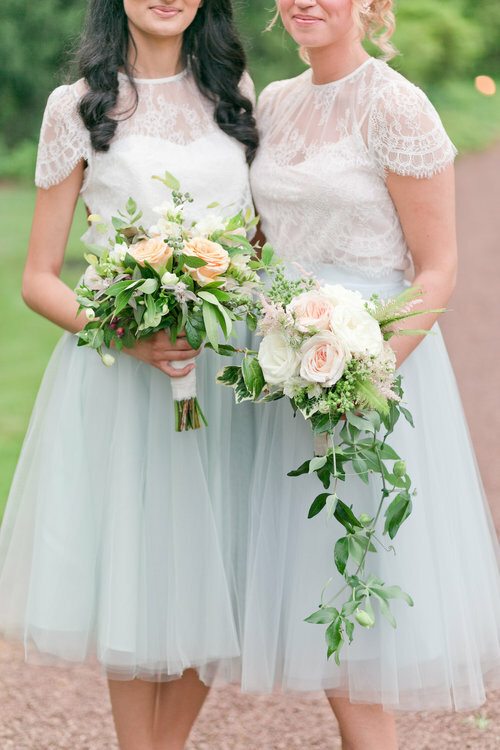 Gorgeous photos by the lovely Jainé of Brklyn View Photography! Doesn't our bride look stunning? 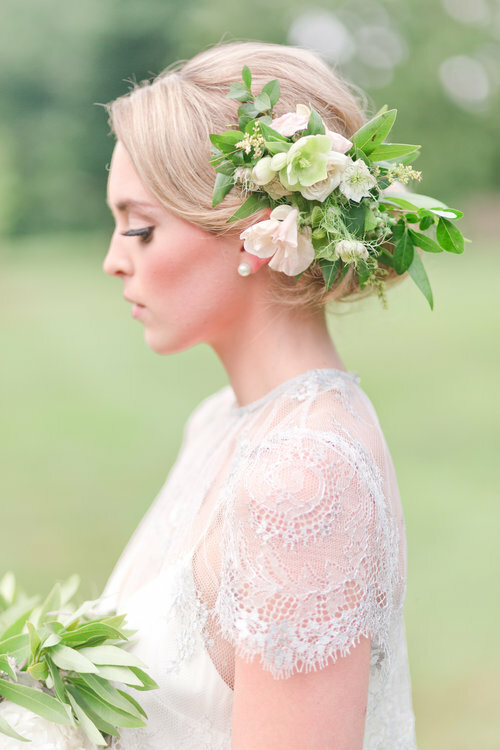 She's adorned in the beautiful Tulipe gown by Winifred Bean and pretty florals by Blush Designs. Her hair and make-up styled by the talented Sissi Chan. 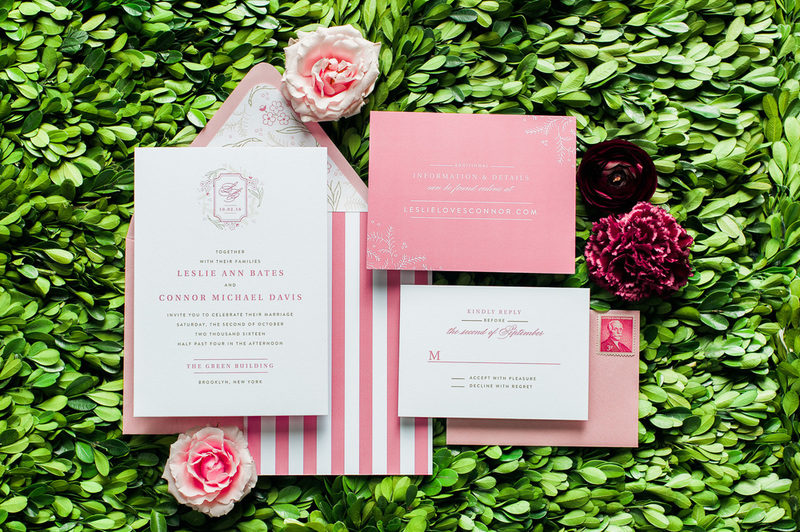 Paper goods all pretty in preppy pink designed by Sincerely Jackie. We love the whimsical and modern twist on the crest! And don't you love all that topiary goodness? 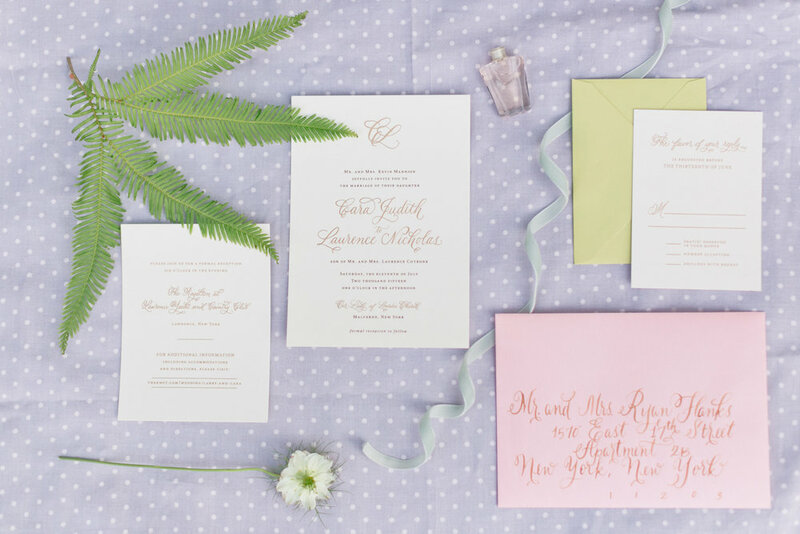 We're obsessed with its bright green color and fun texture! The berry pinks pop nicely against the wall and table! 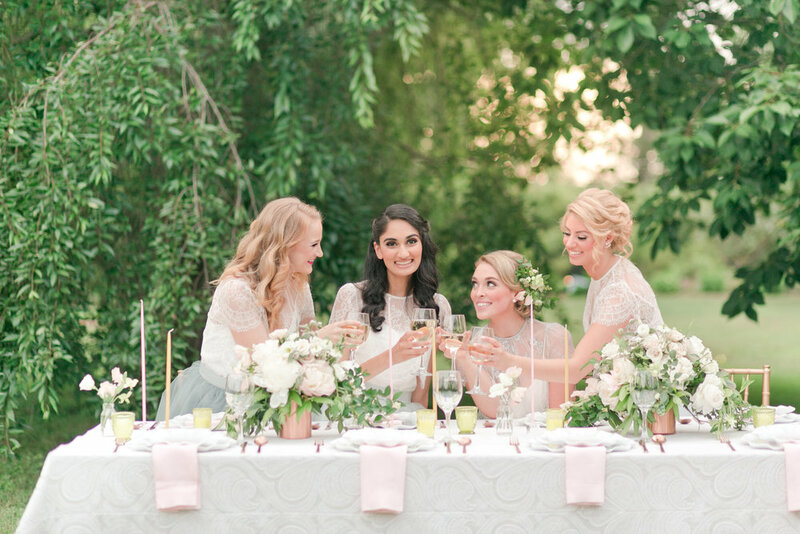 We loved incorporating Octavia & Brown's awesome rentals for the tablescape design -- from the sweet topiary table to the pretty little trophies, they seriously have quite the selection of unique pieces! 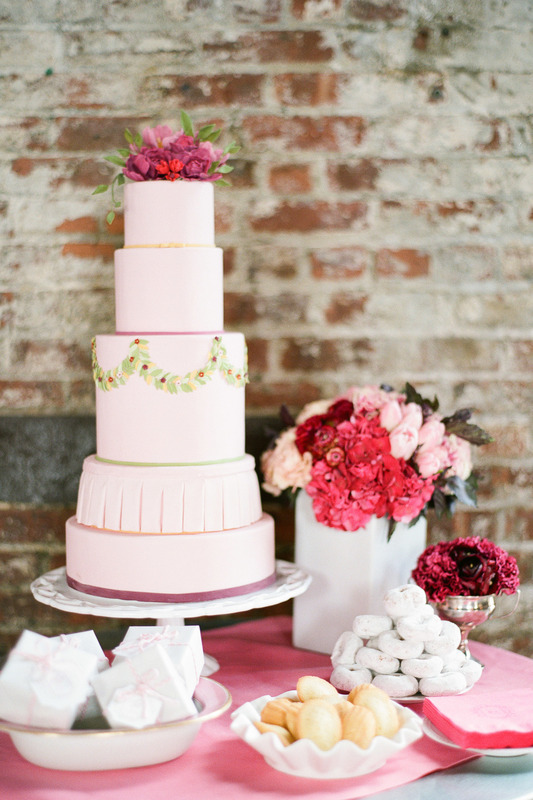 And as always, Nine Cakes worked with our color palette and designed this stunner of a cake. 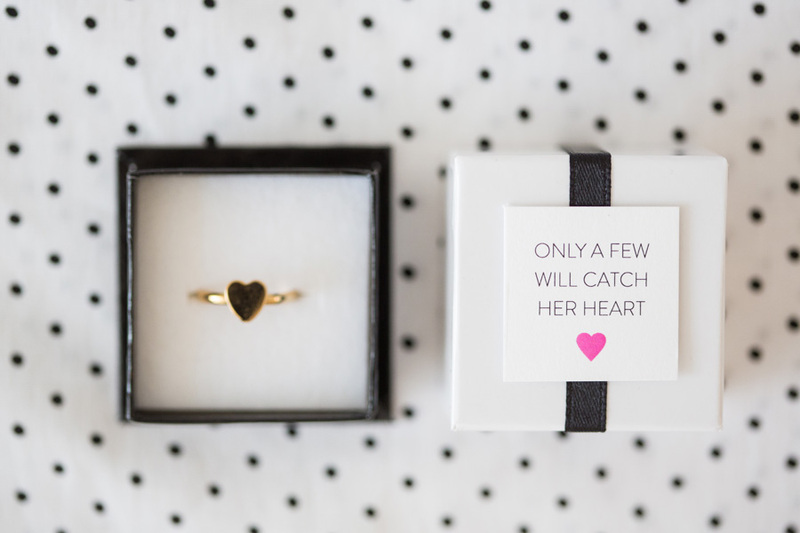 Gotta love this last one -- so sweet and simple! 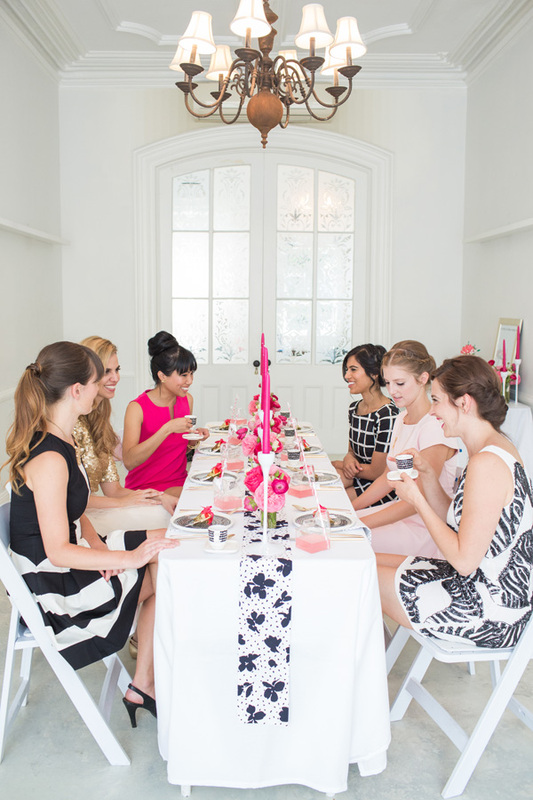 We had such a blast designing this editorial shoot with such a rockstar team! We can't wait to share more of our latest work, so stay tuned!